SKU: sjs15. Category: Canvas Print. 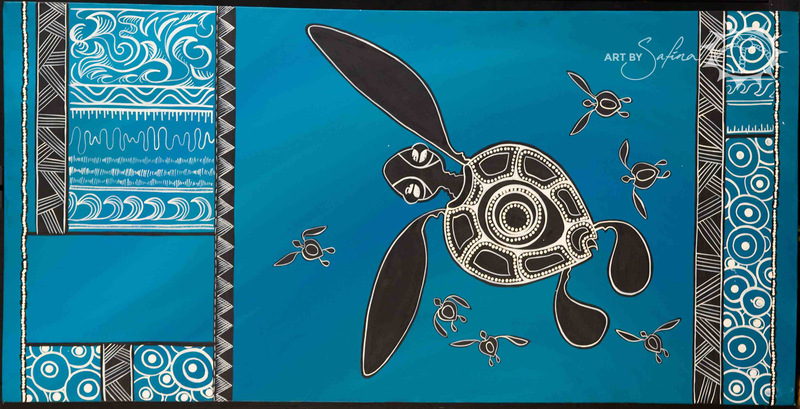 This vibrant image portrays the development of the turtle from its vulnerable beginnings as an egg and new hatchling to the mature adult. 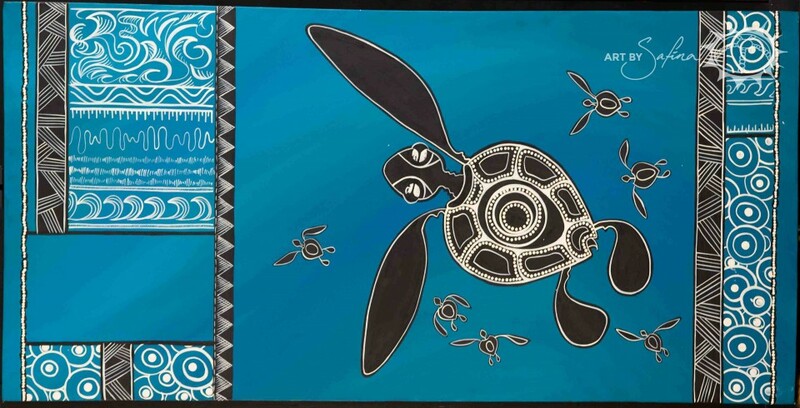 The intricate line work honours the cultures of the Pacific and Torres Strait.